Applied Turbine Technologies (ATT) produces road drying and cleaning systems for airports, as well as jet turbines to power a variety of individual applications. The Zirocco solution provides clean, dry road surfaces at more than 5°C, without an open flame. This allows thermoplastics and one or two-component colours to achieve the best possible adhesion with the road surface. ATT´s Zirocco solution is suitable for cleaning, drying and removing snow and ice from roads before road marking and repair operations. The solution is available in a mobile variant or can be moved using a line-driver. 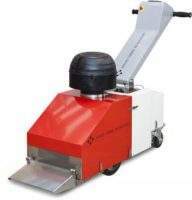 For larger projects, the Zirocco can also be mounted on larger road marking machines or trucks. It performs road drying operations that usually require a large track and / or a crew of three people. Weighing approximately 100kg, the Zirocco offers nozzles with widths of approximately 15cm, 30cm or 40cm. It provides drying and cleaning speeds ranging from 3km/h to 6km/h, depending on road and weather conditions. Rather than using pressurised liquid petroleum gas (LPG), the Zirocco is powered by a standard diesel-fuelled 350kW micro-turbine, enabling safer operation in populated areas. 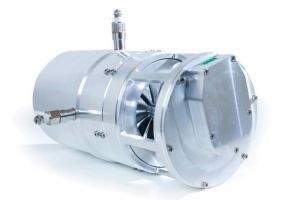 The micro-turbine offers 110m³ of airflow per minute at temperatures between 350°C and 550°C. 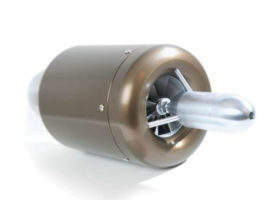 The Zirocco road cleaning and drying system is based on ATT´s P-400 gas turbine, a robust and compact industrial gas turbine, which effectively generates both high-velocity air and heat through diesel combustion. Developed for small applications, the P-400 offers a long lifespan and is capable of withstanding adverse conditions. ATT use a Telematics WS system and a controller DP 250 to remotely monitor road dryers, which have their first scheduled service after 100h of operation. Real-time monitoring allows the company to provide maintenance services and replacement parts for the Zirocco solution before problems arise. The Danfoss telematics solution also offers geofencing, machine tracking and automatic report generation to help speed-up the documentation process. Applied Turbine Technologies (ATT) is a privately owned company and belongs to the Clausen family, which owns the international company Danfoss. It was established in 2010 in order to create a business based on small gas turbines. ATT offers experience within the aerodynamics and gas turbine industries, as well as knowledge of production demands and quality assurance. 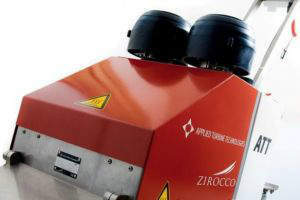 The Zirocco road cleaner and dryer brings turbine technology and state-of-the-art mobile electronic controls into surface treatment in the road marking industry.